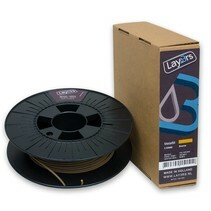 PLA ( or any other filament we know of ) simply refuses to stick to it. Now blobs of filament will not be carried around and depositet on your print. Cold Pulls work so much better, the inside of the nozzle is “ICE” too. 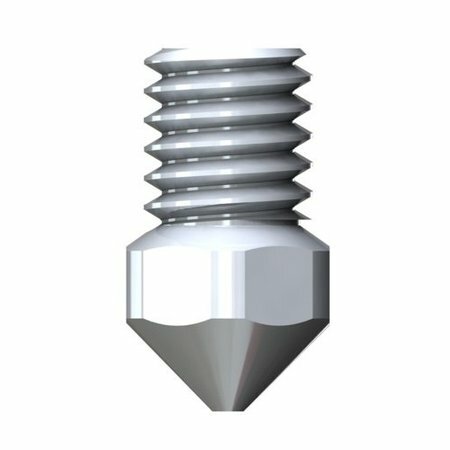 Its surface is much more wear resistant than that of stainless steel, so it will last much longer printing abrasive filaments. Compared with brass, – it is in a class of its own. It works exceptionally well with chemically challenging chemicals, like glow in the dark and flexibel materials. This nozzle can be used for all kind of materials including abrasive materials (woodfill, metalfill and carbon) and will show little to none wear because it has an extreme tough coating. It prints a little bit slower than normal brass nozzle. When the nozzle is used for the first time it needs a run-in period of 2 hours at 220 °C so that the coating hardens / tempers. Never use this nozzle with temperatures above 280 °C, this will ruin its coating. 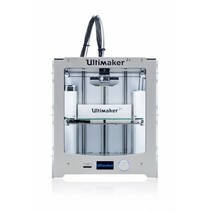 This nozzle can be used with an Ultimaker 2+ and Ultimaker 2 with an Olsson block upgrade.